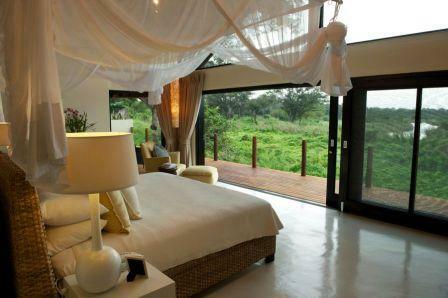 Specialist activities such as a night at one of Lion Sands’ Treehouses; Helicopter rides; Golfing. 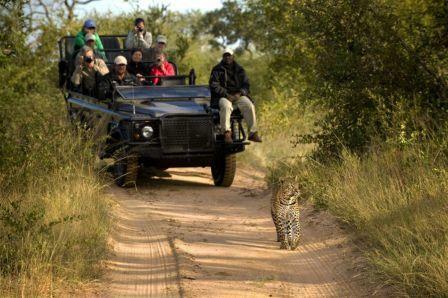 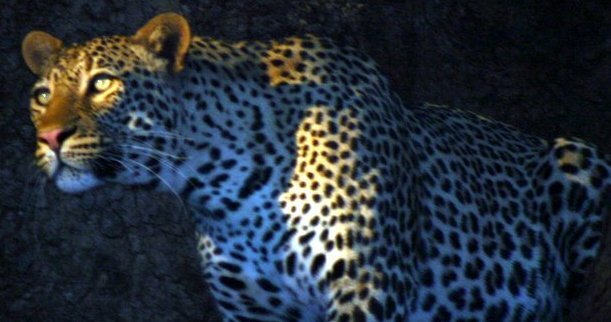 Located in the Southern Sabi Sand Game Reserve and Kruger National Park, Lion Sands Game Reserve is the only reserve in South Africa to offer a safari in both the Sabie and Sand River ecosystems. 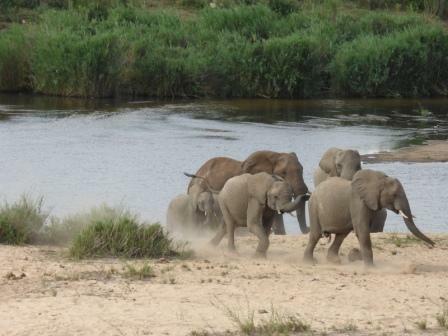 The reserve is family owned and managed by the 4th generation More Family. 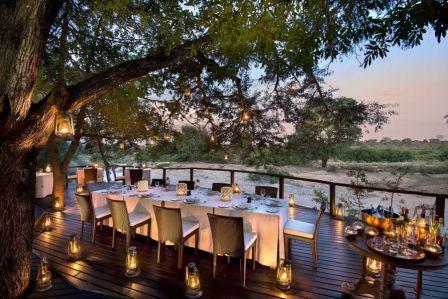 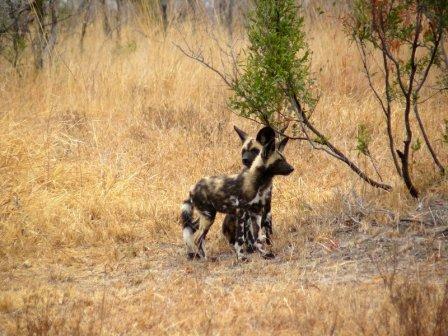 Their grandfather was one of the founding members of the Sabi Sand Wildtuin in 1948 instilling a long history of community and conservation. 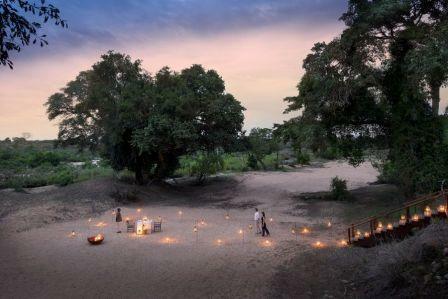 There is a unique programme of activities for guests to tailor-make their stay, including the famous Treehouse experiences (Chalkley Treehouse, Kingston Treehouse and Tinyeleti Treehouse). 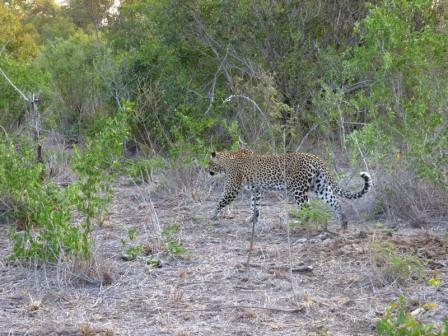 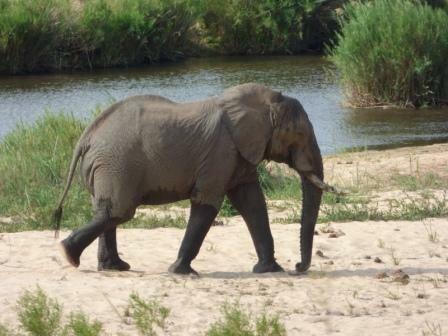 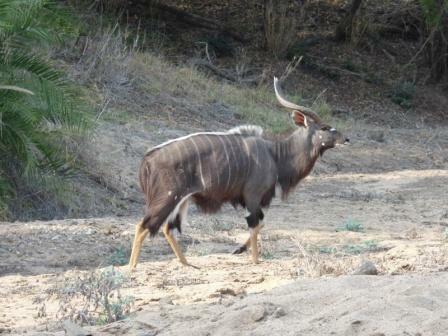 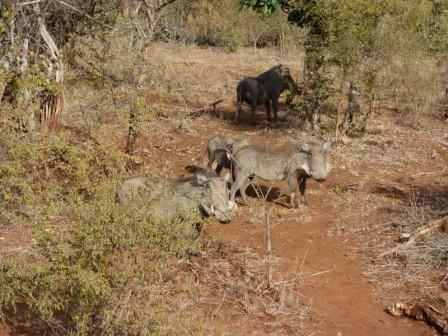 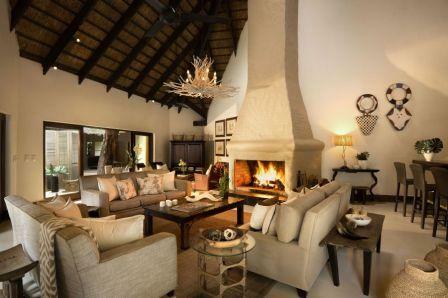 Lion Sands Game Reserve is part of the family-owned and operated collection of MORE properties. 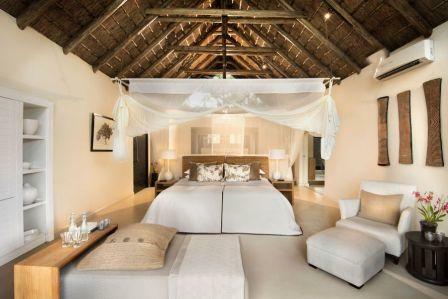 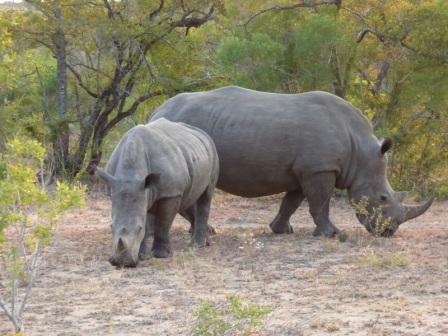 Lion Sands Tinga Lodge & Narina Lodge are collectively one of only seven private concessions in the Kruger National Park – a 5,000 hectare (12,500 acre) private concession with the highest concentration of Black Rhino (Diceros bicornis) in South Africa. 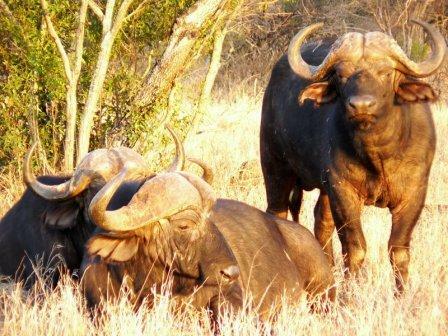 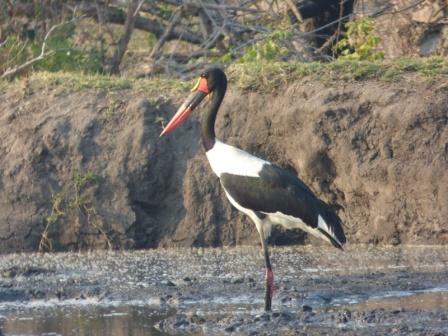 It is 5 minutes from Skukuza airport and Lodge has access to all areas of historical significance in the Kruger National Park. 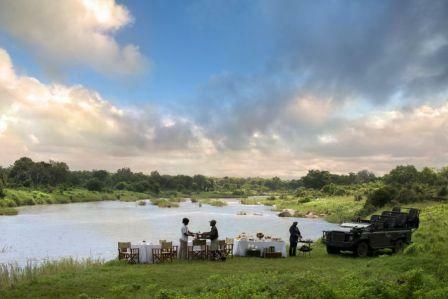 Guests are encouraged to make themselves completely at home at River Lodge – may the time spent on safari remain the highlight of their visit to South Africa. 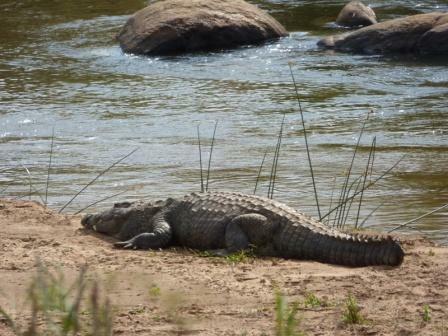 We have tried to capture the entrancing spirit of the Sabie River, and always smile at that moment when we see our guests forging their own connection with that special energy that cannot be seen, but can definitely be felt. 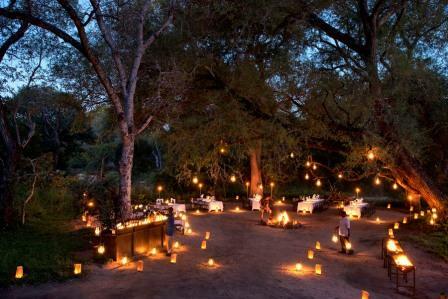 20 thatched rooms overlook the unfenced African bush, or the Sabie River comprising of…. 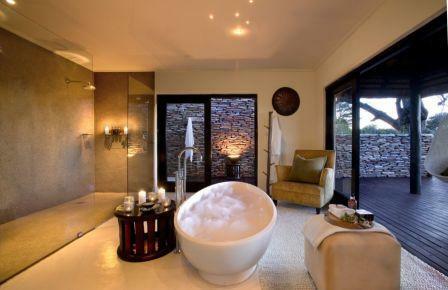 6 Superior Luxury Room are larger in size, and have ample open-plan bathrooms and outdoor showers. 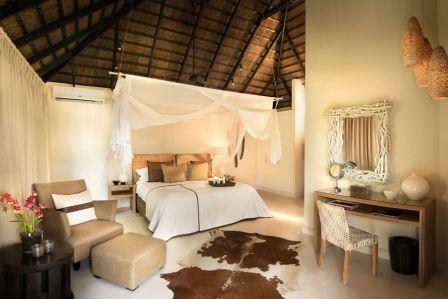 4 of the 6 Suites are inter-leading, and are therefore ideal for families. 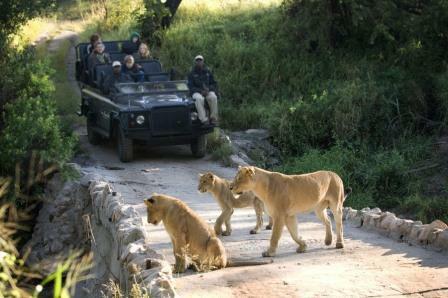 Children of 10 and older welcome and offer Childrens’ activities and baby sitting available. 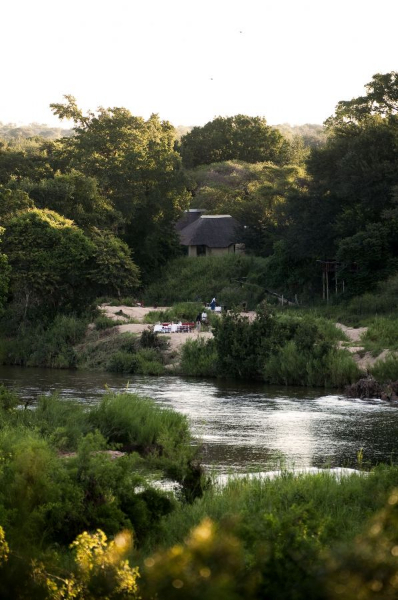 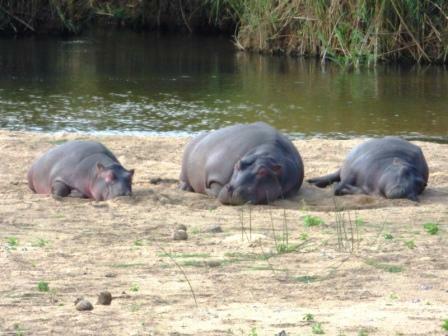 River Lodge has Two swimming pools, Open plan lounge and dining area and Free Wi-Fi (in guest areas).